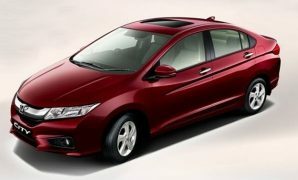 The Honda City is selling in good numbers right since its launch. However, it might soon come under threat from a vehicle that belongs to a different segment, but carryies a similar sticker price. Also, since this new car in question is also a Honda, prospective customers walking into a Honda dealership might consider buying it over the City. What we’re talking about is a rivalry between the BR-V and the City. Both cars share the same engines, a similar price tag and will be equally matched in terms of features. 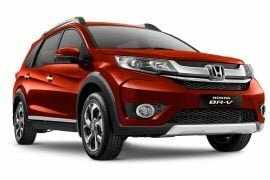 Read our Honda BRV vs Honda City spec sheet comparison to find out which of these two suits your needs the best. The BR-V costs around 70,000 – 1 lac more than the City. For the extra money, you’ll get a more spacious cabin with 7 seats and a raised ride height. However, the City is more dynamically accomplished and comes with extra features. However, the engine line-up is exactly the same. 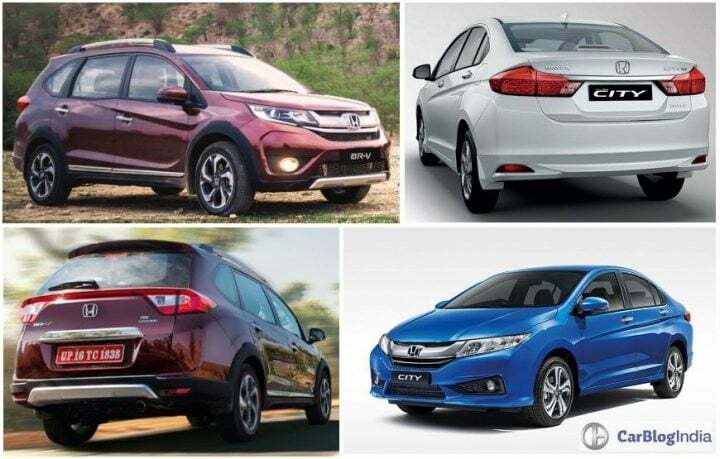 The Honda City is more feature rich than the BR-V. The BR-V boasts of projector headlamps up front with LED daytime running lights (DRLs) and LED taillamps. Also, it gets 7 seats and hence more space. Common features include automatic climate control, push-button start leather upholstery and a leather-wrapped steering wheel and gear knob. 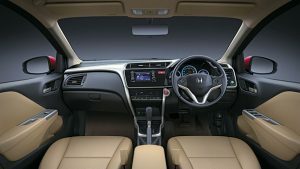 Honda provides an optional sunroof with the VX (O) trim of the City, touch sensitive controls for the auto aircon and a touchscreen AVN, features the BR-V misses out on. The crossover comes shod with bigger 16-inch alloys in comparison to the City’s 15-inch rims. The BR-V and the City share the 1.5-litre i-VTEC Petrol and 1.5-litre i-DTEC Diesel engines. But there is a slight difference in the transmission options. Petrol variants of City are powered by the refined 119 BHP 1.5 L unit mated to either a 5-speed manual or a CVT, while the BR-V gets a 6-speed Manual instead. Diesel variants are powered by 1.5 L i-DTEC unit known for its low levels of refinement and high NVH levels. Mileage figures of the BR-V are lower than the City’s due to increased bulk of the car. Performance wise the City should be better since it is lighter than the BR-V. The BR-V’s exterior is based on the Mobilio, but that isn’t as noticeable thanks to a new front end and revised rear. The BR-V offers a more aggressive nose complete with sharp headlamps, and a new bumper. There are also new taillamps at the back and body cladding all around. 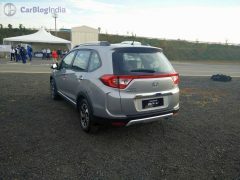 However, in its side profile, the BR-V looks identical to the Mobilio. And because of that, it looks more like an MPV than an SUV, which is turn off. Even though the City is older, the design feels more modern than the BR-V’s. Then again, looks are subjective and deciding which of these two look better is completely up to the buyer. BR-V’s dashboard comes from the 2016 Honda Amaze. And since the Amaze’s design is inspired by that of the Jazz and City, the dashboard of the BR-V and City look identical. They both share the same steering wheel as well. The major difference here is the touchscreen infotainment system, tocuh controls for the aircon and the usage of materials around the centre console in the City. These differences ensure the City’s dashboard feels more premium than the BR-V’s. Being an MPV-SUV crossover, the BR-V’s cabin is more spacious and offers seating for 7 adults, while the City’s is restricted to 5 passengers. 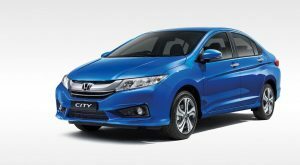 Features – The Honda City is more feature rich than the BR-V as the SUV misses out on a touchscreen AVN, reversing camera, parking sensors and sunroof. Specifications – The engine line-up is identical. 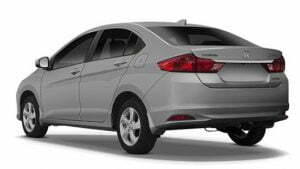 Both cars utilise the 1.5 L Petrol and 1.5 L Diesel engines from Honda. However, the petrol variants of the BR-V get a 6-speed Manual instead of the City’s 5-speed unit. 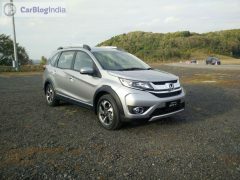 Price – As evident from the prices mentioned above, the BR-V is considerably more expensive than the Honda City. But for the extra money you get seating for 7 and an increased ride height. 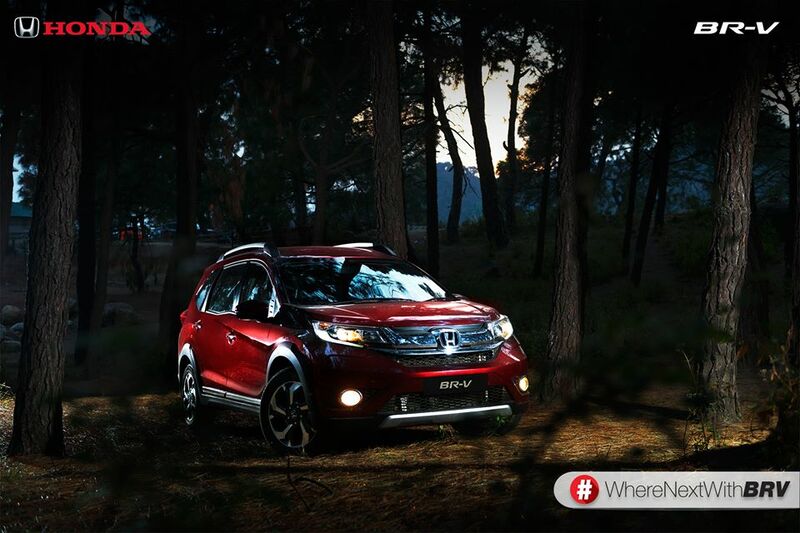 Stay tuned to Car Blog India for more updates on the Honda BRV vs Honda City comparison. And do comment and express your views via the comments section below.